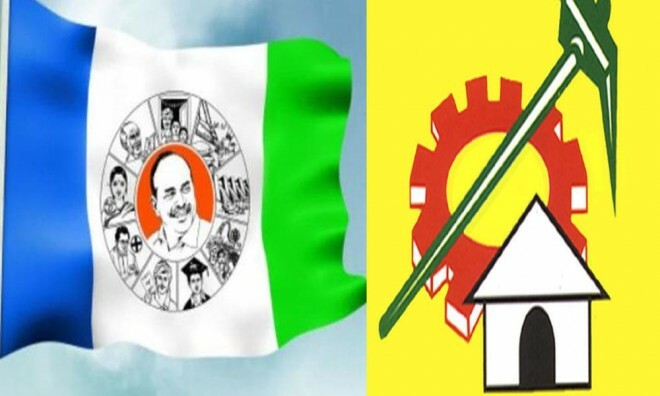 Amaravati, Apr 12: With about 77 per cent polling in the Assembly and Lok Sabha elections in Andhra Pradesh, both the TDP and YSRCP on Friday exuded confidence of forming the next government in the state and winning a majority of Lok Sabha seats. While the ruling Telugu Desam Party (TDP) was confident of people giving it a massive mandate for another term, the main opposition YSR Congress Party (YSRCP) was equally sure of a landslide victory. Violence and malfunctioning of Electronic Voting Machines (EVMs) marred the poll process on Thursday, resulting in the polling continuing in some booths till midnight. In the Lok Sabha polls, the TDP-BJP combine won 17 seats (TDP 15, BJP 2) while YSRCP secured eight seats. The difference of votes polled by TDP-BJP combine and YSRCP was just above 2 per cent in both the Assembly and Lok Sabha polls.